An initial 25 camps will kick off at local universities and enterprises over the following month, with school-based ones focusing on academic development and special enterprise-based camps eyeing innovative breakthroughs. Some 300 university and enterprise representatives and college students attended the opening ceremony. 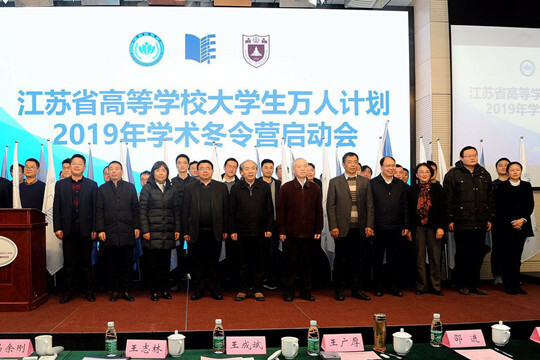 Wang Chengbin, deputy director of the Jiangsu Provincial Department of Education, said the program was set up to cultivate high-caliber personnel, create first-class platforms, and yield top-tier results. He stressed that the university-centered camps will act in a result-oriented way, focused on hot, cutting-edge research fields, while tying their programs closely with economic and social development. The enterprise-based camps, which, as Wang mentioned, plan to follow the latest industrial and technological development needs, will have a focus on enhancing the students' innovative and practical capabilities. Over the next five years, the academic winter camp program will be rolled out to a predicted 10,000 local college students. The first round has received warm response, with some 3,000 students participating.